Handspring today announced the addition of former FCC Chairman William E. Kennard to its board of directors. Having presided over the FCC during a significant growth period in the telecommunications industry, Kennard brings broad experience and a strong commitment to innovation and better consumer services to Handspring as the company moves forward in its role as a communications leader. 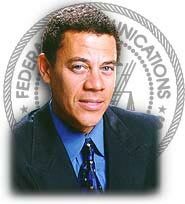 Called "a consumer champion for the digital world" by US News and World Report, Kennard served as Chairman of the FCC from November 1997 through January 19, 2001. Under his guidance the FCC strongly defended the market-opening provisions of the Telecommunications Act of 1996, and Kennard is credited with removing unnecessary and burdensome regulations and streamlining the operations of the FCC. Kennard has also been called "the Broadband Chairman" for his relentless push to deliver high speed Internet access to the American people. Kennard joins a world-class group of six other members of the Handspring Board: Jeff Hawkins and Donna Dubinsky, the original founders of both Handspring and Palm Computing (chief product officer and chief executive officer of Handspring respectively); John Doerr, general partner at Kleiner, Perkins, Caufield & Byers; Bruce Dunlevie, managing member with Benchmark Capital; Mitchell Kertzman, CEO of Liberate, Inc.; and Kim Clark, dean of Harvard Business School. "I am delighted that Bill Kennard has agreed to join the Handspring board of directors. With his recent experience at the FCC, Bill brings to our board extraordinary breadth and depth in the field of wireless communications, an area of increased focus for Handspring. We’re excited about the contribution he can bring to Handspring," said Donna Dubinsky. Since leaving the FCC, Kennard has served as a Senior Fellow at the Aspen Institute in Washington, D.C. He is there temporarily to advise on telecommunications policy and program activities for the Institute's Communications and Society Program. He will also become the first chairman of the program’s new advisory board. The Aspen Institute is a global, nonpartisan, nonprofit organization. Through its seminar and policy programs, the Institute fosters enlightened, morally responsible leadership and convenes leaders and policy makers to address the foremost challenges of the new century. A native of Los Angeles, Calif., Kennard graduated Phi Beta Kappa from Stanford University and received his law degree from Yale Law School in 1981. Before his appointment as FCC Chairman, Kennard was the FCC's General Counsel, the Commission's principal legal advisor and representative in court. Prior to joining the FCC, Kennard was a partner and member of the board of directors of the Washington D.C. law firm of Verner, Liipfert, Bernhard, McPherson, and Hand.